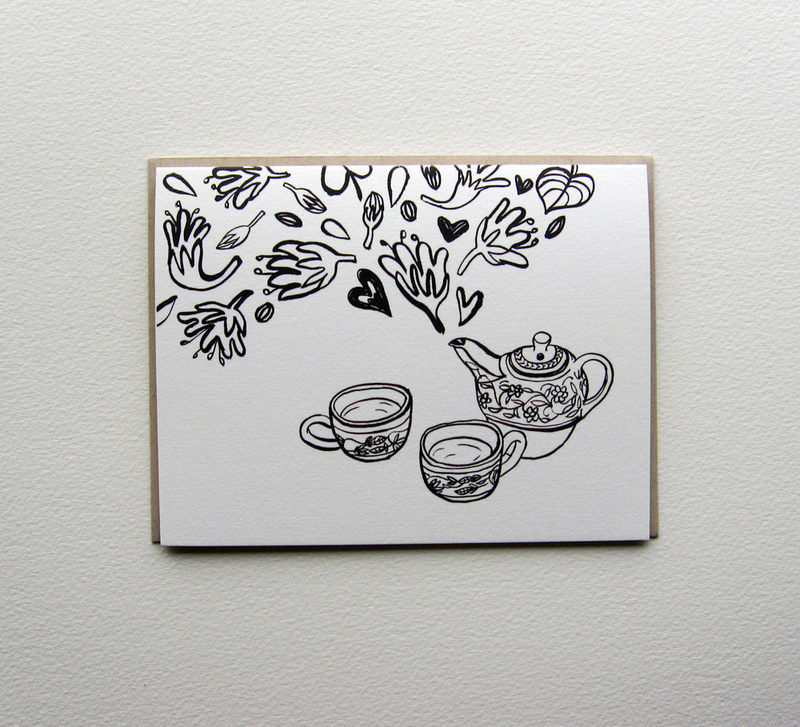 Since Valentine’s Day is just around the corner, I wanted to show you some of the love cards I’ve got in my shop today! I’m particularly happy with this “I Love You More Than” brush lettering card I created recently! I want to make sure my art reflects my style and voice – simple, whimsical, and has the childlike charm. Sometimes I draw something photorealistic (most likely by accident!) and it feels so unfitting to everything else I do, so I typically don’t share them even if they look good! 2. Does this have a happy vibe? I want to make you happy with my art. Period. So I keep my imagery light and joyful. I might make dark and sad art as a personal exploration, but they don’t typically become my products. 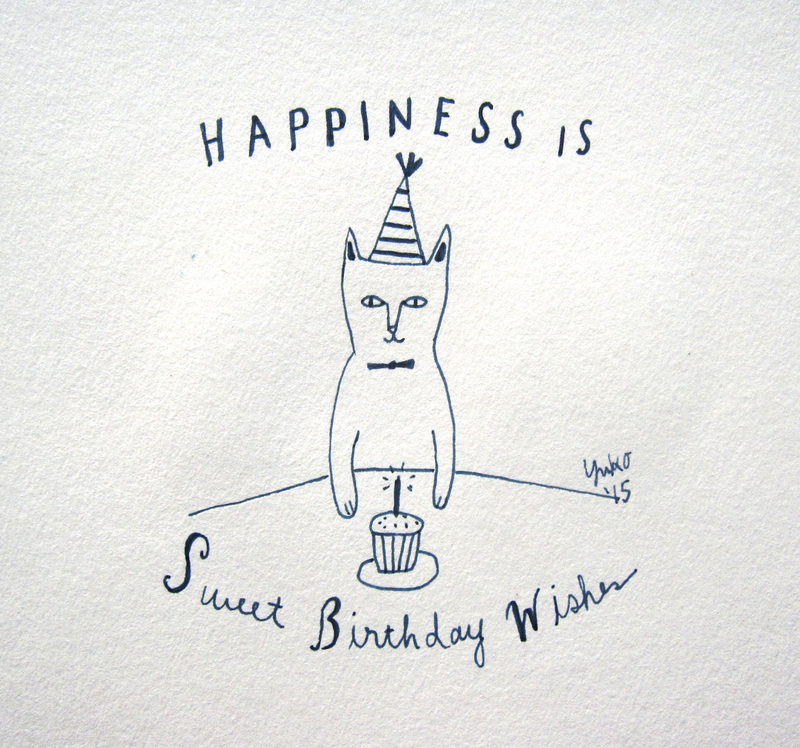 Do you like my sweet love greeting cards? Explore your options in my shop today! When I create art for products, I imagine who’s going to use them. I imagine that it’s going to be loved by someone who is creative and wants to live her life full of joy and happiness. Someone who values simple things that are made with love and care. I imagine someone who likes to make things themselves, perhaps a gardener, who believes in taking care of themselves, people around them, and the earth. And I imagine that the person smiles a lot 🙂 I imagine their cozy home with lots of light, art, and books. And, those are the essences that make all of my products so sweet and joyful. And these new Valentine’s Day goodies are no exceptions! OK, but before I tell you the story behind the new gift collection, let me back up a little to the winter holiday season last year. 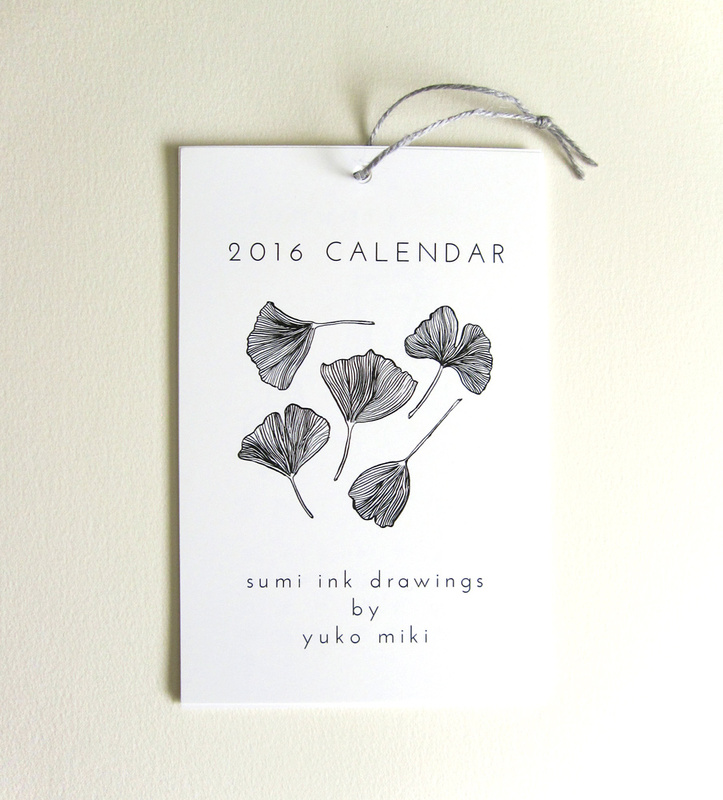 You may remember I created this 2016 wall calendar with my sumi drawings. This calendar became the best seller during the holiday season. Anyway, the Style & Design editor of Seattle Magazine saw them at one of the pop-up holiday shops and emailed me to ask if I had a Valentine’s Card they could feature in their publication! They wanted something unique – something that’s done in my sumi drawing style and different from the traditional red & pink design. The turnaround time was pretty short, and I knew I didn’t have time to create something from scratch. So, I took a couple of images from the calendar and added some floral/heart motifs and created two brand-new Valentine’s/Love cards! I also turned them into art prints! 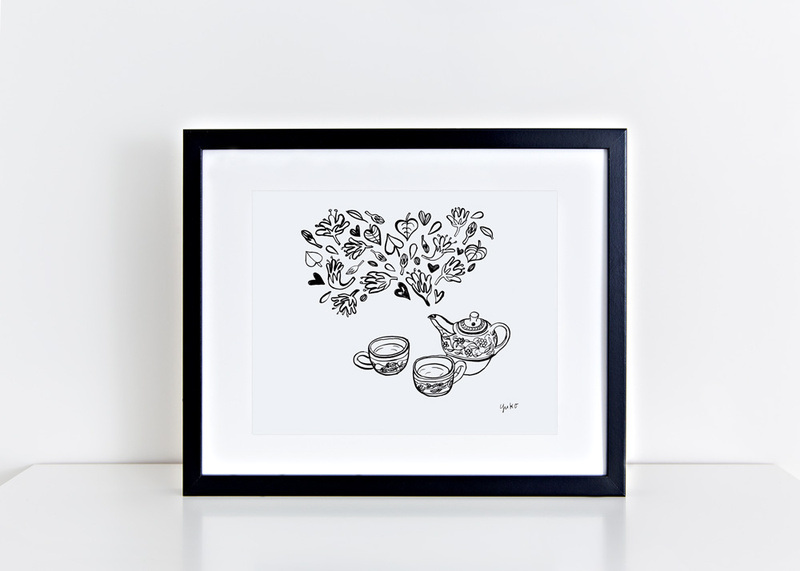 Gift of art will remind your special person how much you care throughout the year 🙂 The 8×10 giclee print of Tea for Two sumi drawing would look very nice framed. The simplicity of these sumi drawings is timeless. Give a gift that fits right into your loved one’s everyday life. 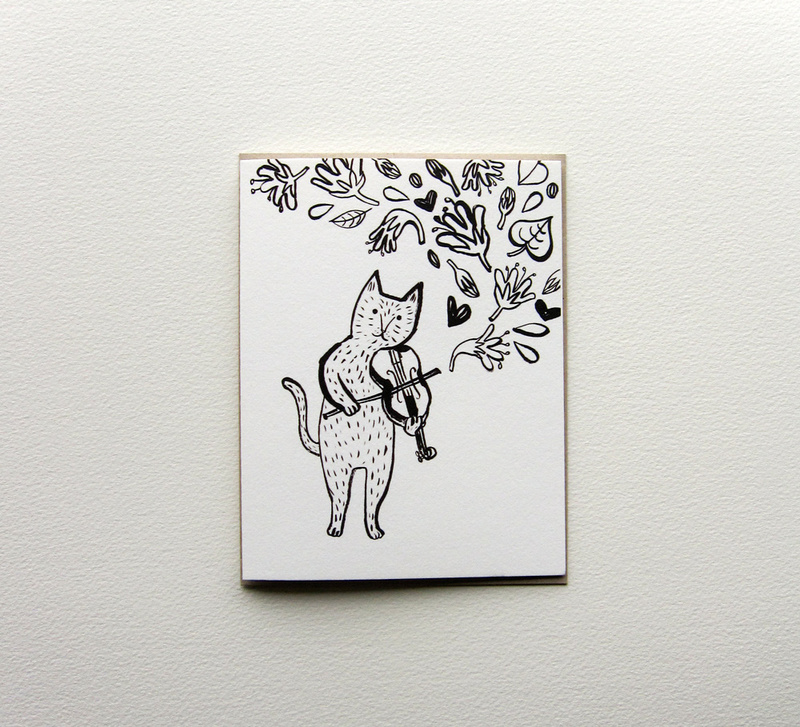 Cat Violinist sumi drawing is also available as 8×10 giclee print! “Sea Otters hold hands while sleeping so they don’t drift away from each other.” Now, this is ADORABLE. This pen and ink drawing of sea otters holding hands was a happy accident I created for a fun personal project in January. But when I posted it on Instagram, people loved it and asked if I would sell prints. So I did! 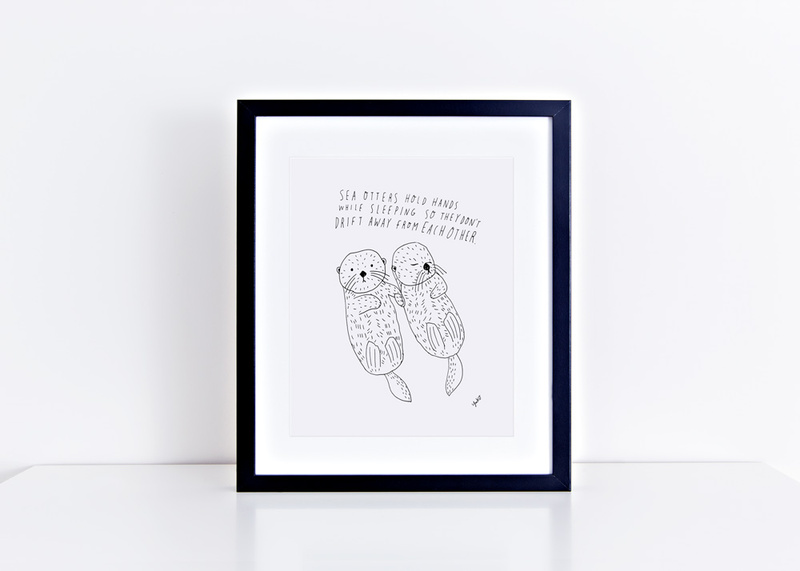 I didn’t create this specifically for Valentine’s Day, but this Sea Otter art print (8×10) will also make a lovely gift that will add extra sweetness to any home. I love building relationships. I thrive on relationships. I like thinking about them and talking about them. I’m not only talking about romantic relationships but all kinds of relationships. Friends, family, co-workers, neighbors etc. There is something very magical about how humans connect with one another. 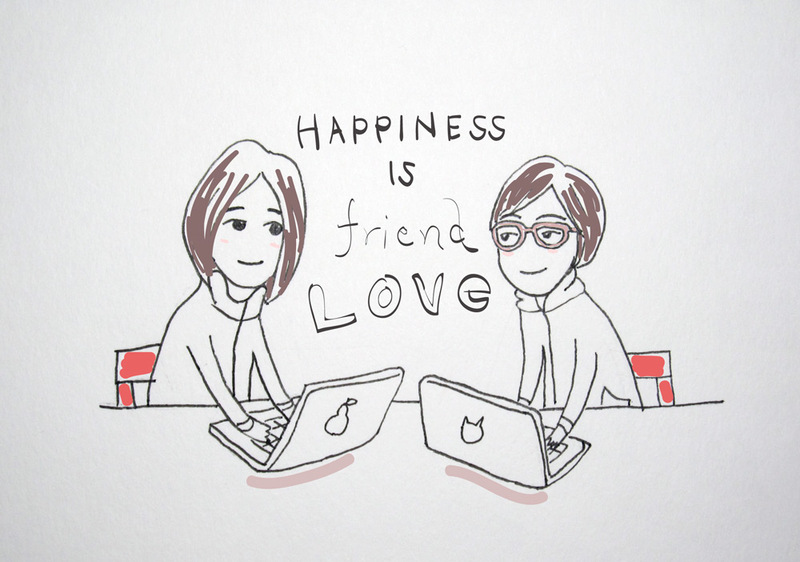 You meet someone, get to know each other, and create a space for this person in your life. I just find it so fascinating! 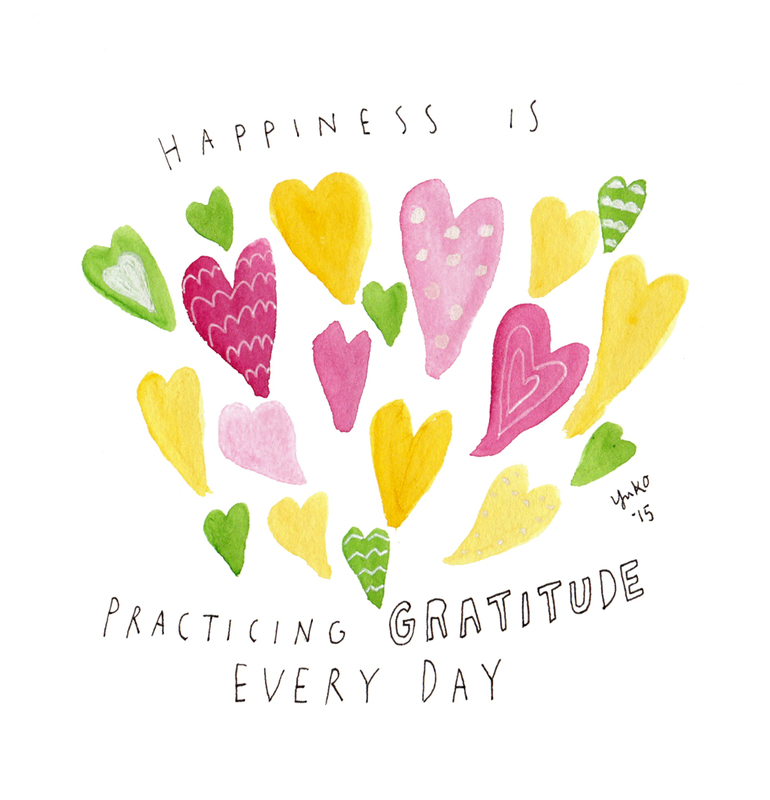 One of the BEST THINGS that came out of my 365 Day Happiness Project was I got to connect with so many new people who like what I do. Some of them are locals, and many live all over the world. I’ve been lucky enough to connect with some of my heroes through the project, too, which would have been almost impossible if it wasn’t for the internet! There are many things I wish could be different about social media, but one definite positive is now someone like me could reach a much wider audience with a click of a button. For the last year or so, I’ve been focusing on relationship building a lot, especially with my art/illustration business. Why? Because having a positive and meaningful relationship with people who support your work has many benefits even though some of them may not be visible. I used to accept compliments from my family and friends very reluctantly when they told me they liked my work. Because, well, they are my family and friends. They wouldn’t tell me even if they think my work is crap, would they? I’d tell myself they’re saying that to be “nice.” They don’t want to hurt my feelings. In my head, I decided they don’t really think my work is that great. They buy my stuff because they want to support me as a person, not because they really want my stuff. Sound familiar? As I put myself out there more and more lately, though, I’ve been feeling a little bit different about it. The truth is, your friends who support your work are the best kind of audience you can ask for. You want to surround yourself with people who like and care about you as a person. They care about you personally and want you to succeed! They do think your work is great because you made them. They encourage you and appreciate you. How could you not want them as your audience?? One obvious benefit of having a good relationship with your audience is you build trust. And why is trust important? It is because customers buy from people they trust. As someone who’s trying to make a living from selling services and products, it is super important to me that I earn the trust of my audience. I often see on my neighborhood Facebook page people asking others “Do you know a trustworthy car mechanic?” or “I’m looking for a realtor. Who do you recommend?” You can compare and read hundreds of reviews on services and products online before buying anything. I totally follow this pattern myself and buy services and products from people I know and trust or recommended by people I trust. I know their work is good, and I don’t have to worry about them taking advantage of me! Just like your family and friends, your audience who like and trust you as a person can be your powerful personal brand ambassadors. And that is so cool!! In order for the relationship to develop organically, you can’t just show up when you need something from them or treat them like a dollar sign. When you put out quality work consistently as a down-to-earth, real person and treat them with respect, people will start trusting you. I’d like to view my relationship-building work like gardening. 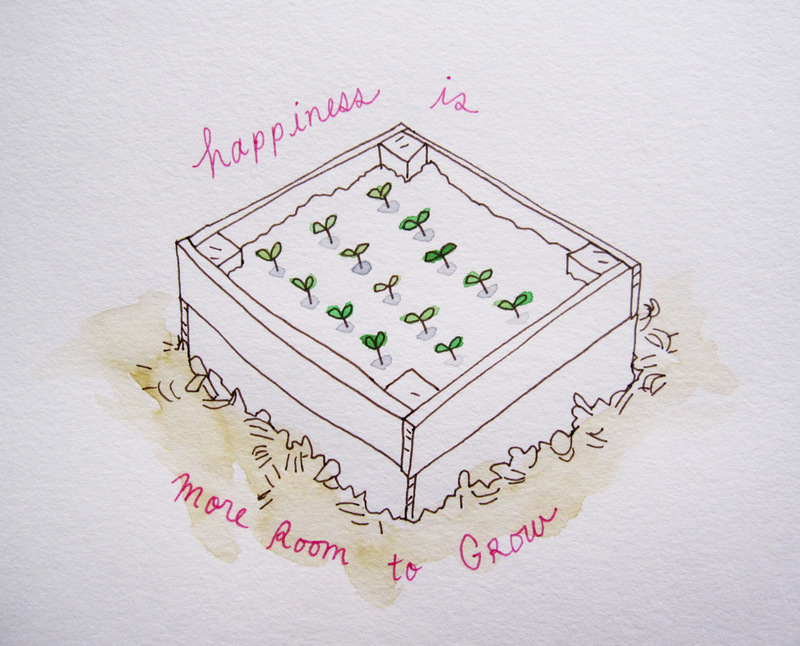 You tend the soil, sow seeds, and nurture them. Some seeds will sprout and give you nourishment. Some will never sprout because the condition wasn’t right, or the seeds weren’t viable. Sometimes it takes years for it to bear fruits. Some plants will self-seed and keep coming back year after another. Failed crop doesn’t necessarily mean you will never succeed. It’s an opportunity to learn and try something new next time. Relationship-building takes time, energy, and skills. It can be discouraging when you don’t seem to get anything in return from your effort immediately in the form of increased sales, for example. But don’t underestimate the value of intangible benefits. People telling me how much they love my work and how my work inspires them are worth more than gold to me. Words of appreciation and encouragement are my number one Love Language, and I will keep making and sharing art even if I never made a dime as long as someone tells me my art has made their world a little bit better. Fear not, though, because if you’re putting out quality work consistently and treating your audience with respect and kindness, you will see results. My daily art practice has helped me to grow my audience, and many doors have opened for me since then. I can only imagine more opportunities coming in as I quit my day job and focus more time and energy on my art business this summer!!! Woo hoo! 1) Engage with my audience on different social media platforms i.e. Facebook, Instagram, Twitter, and my blog. I like to respond to all the comments and questions I receive as quickly as possible because I appreciate them taking the time to say something nice or ask questions! It always feels so nice when people I admire and follow respond to me. 2) Share my life and what I know with my audience. This is something new I’m trying with my weekly blog posts. I want to share different parts of my life with my audience through my writing. I’m intentional about what to share – I don’t want to talk about myself just for the sake of talking (plus that is not something I enjoy anyway…). I want my sharing to have a purpose. I want to inspire and motivate people to pursue their dreams by sharing my successes and challenges. 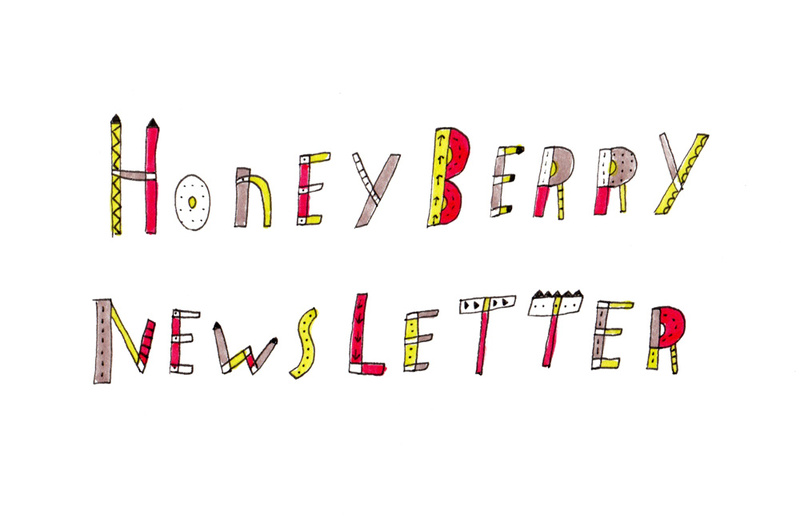 3) Send special mini blogs to my monthly art subscribers. I’m not sure if you know I sell some of my art products through my Etsy shop. 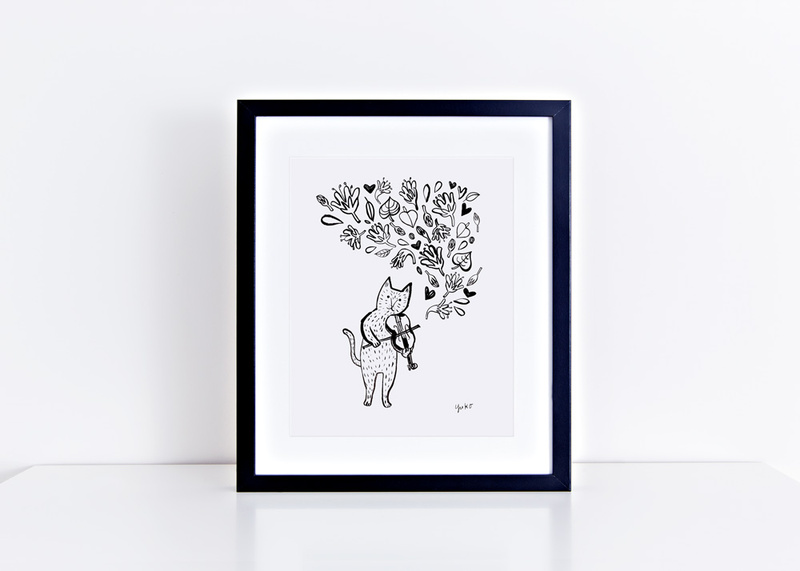 This year I started a Gift of Happiness art subscription service where people can receive a new product from me every month. Because I appreciate their support so much, I send them a special blog telling stories and processes about each product every month. I also send them hand-written notes and postcards occasionally to say hi 🙂 I offer a 6-month subscription as well in case you’re interested in joining the club for the second half of the 2015! 4) Send a personalized hand-written note to my customers. This is similar to my point above, but when I send out my orders to customers physically, I put a personalized hand-written note thanking them. It’s a small thing, but I want to add a little personal touch. My following is still pretty small, so I’m seizing this golden opportunity to pay close attention to every and each person who wants to engage with me. As my audience grow over time, it will be more challenging, but I will do my best to show my appreciation and engage with them as much as I can. First and foremost, I make art because it feeds my heart and soul. But my journey is much more enjoyable and rewarding because of the relationships I have with people like you. THANK YOU for following along on my adventure!! Besides reading my blog and saying nice things (which I appreciate SO MUCH), you can also support me by signing up for my e-newsletter! 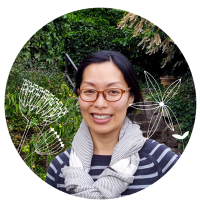 As my blog becomes more process and self-help orientated, I decided to start an e-newsletter as a primary way to let you know about events, products, and services. If you don’t want to miss out on exciting new opportunities, be sure to sign up! I’ll be talking about how to overcome a common disease know as “Comparing Yourself with Strangers on the Internet Syndrome” on my Happiness Project Reflection blog post next Sunday. See you then! 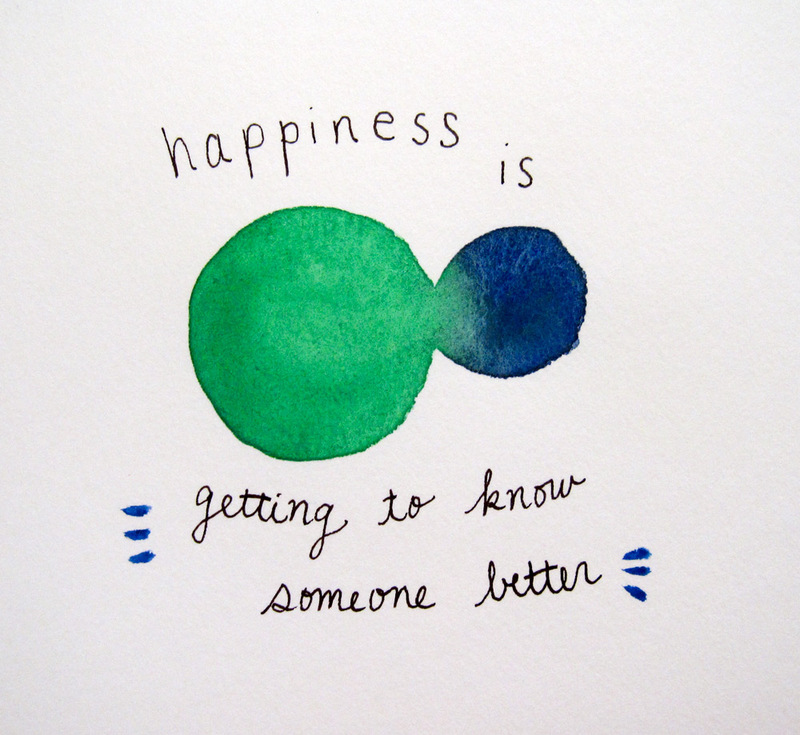 Day 309: Happiness is listening to someone’s love story. 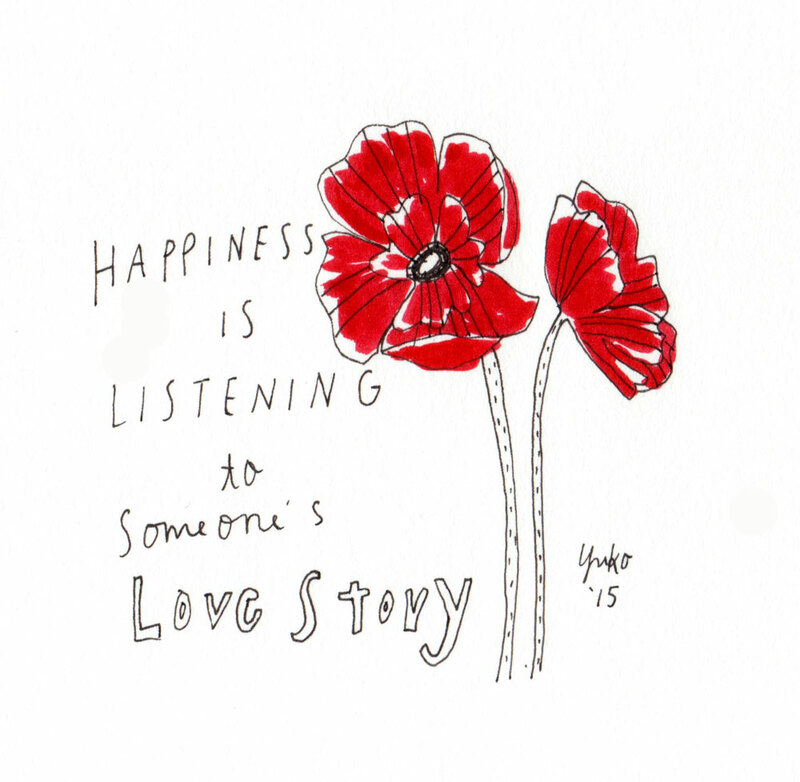 Happiness is listening to someone’s love story. I just love hearing how people fall in love. Wish that could be my job! 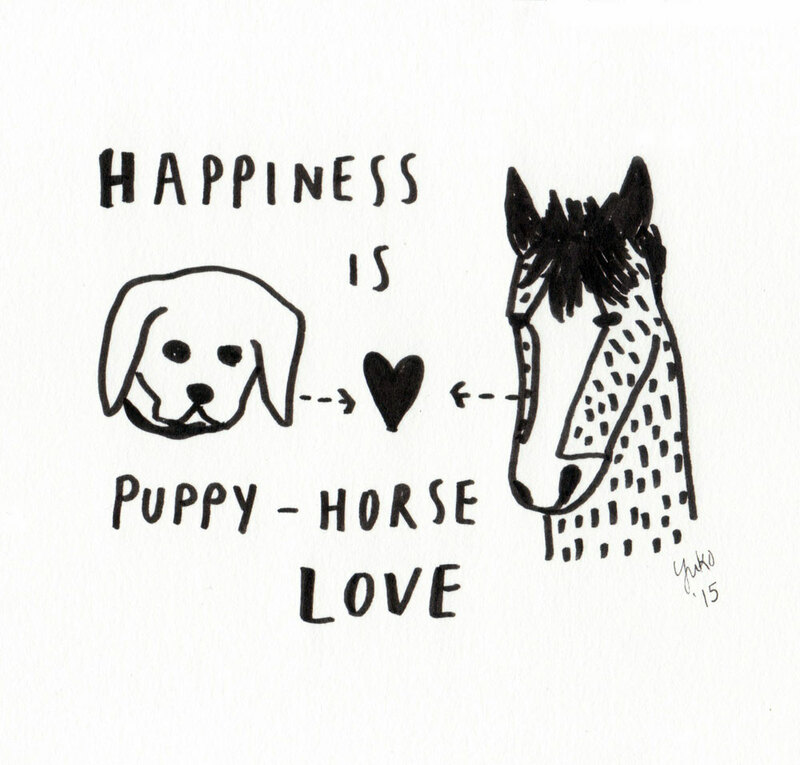 Day 283: Happiness is puppy-horse love. 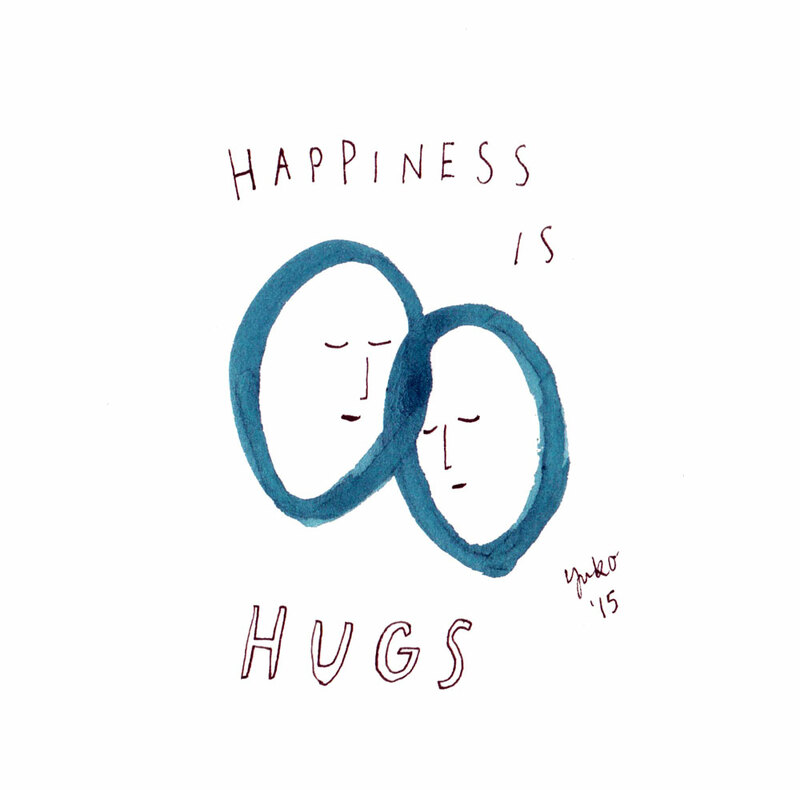 Day 277: Happiness is hugs. 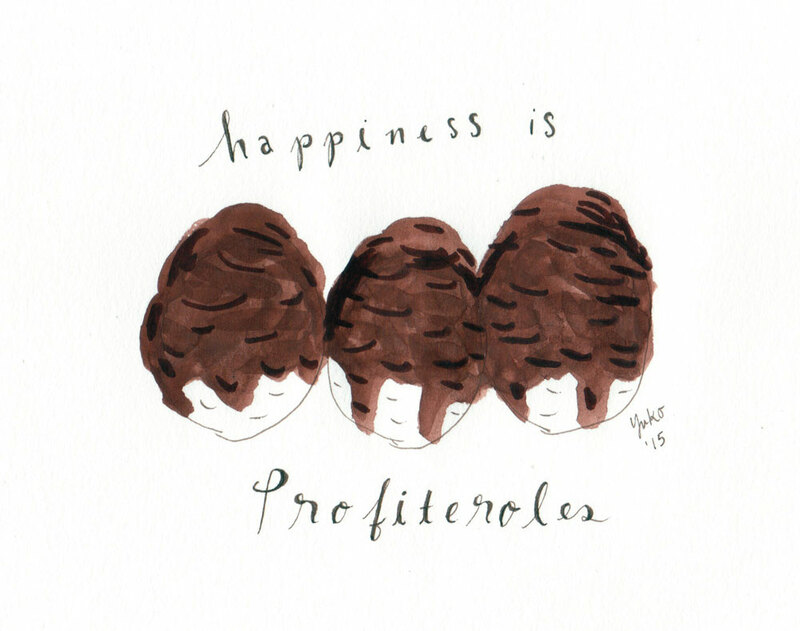 Day 274: Happiness is profiteroles. Day 273: Happiness is flowers from friends. 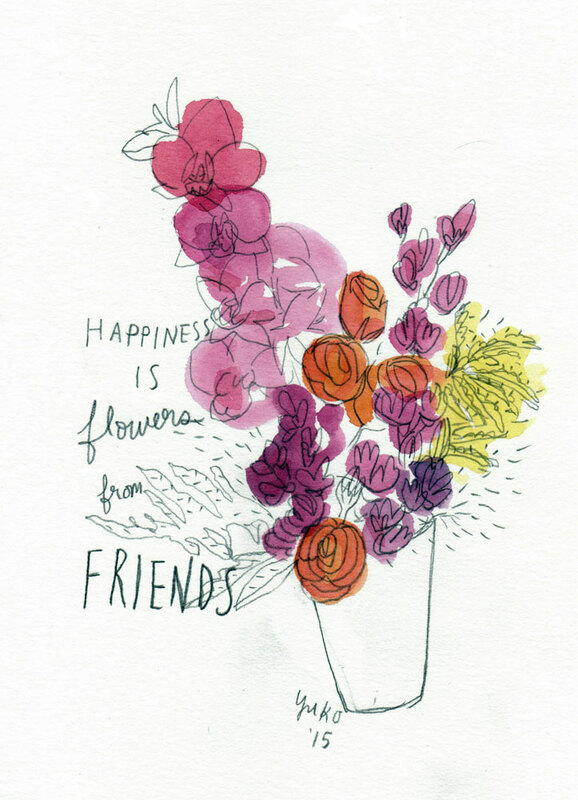 Happiness is flowers from friends. They are gorgeous, and I feel loved.